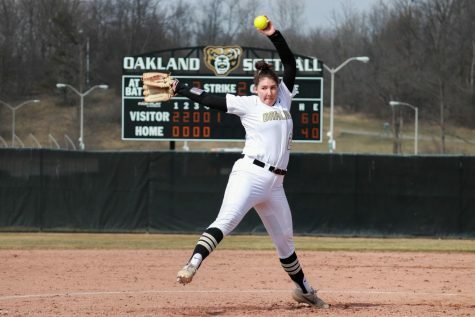 After a demoralizing 15-1 loss against the University of Wisconsin-Milwaukee Panthers, the Golden Grizzlies fought back on Saturday, April 6 to split the doubleheader with a 12-5 win. The first game started with a four run first inning for the Panthers, and from that point the game was an uphill battle. The Panthers scored in every inning beside the sixth inning, which is where Oakland earned their only run. Starting pitcher Nick Parr had a tough outing, giving up nine earned runs and 11 runs total to go along with 11 hits. 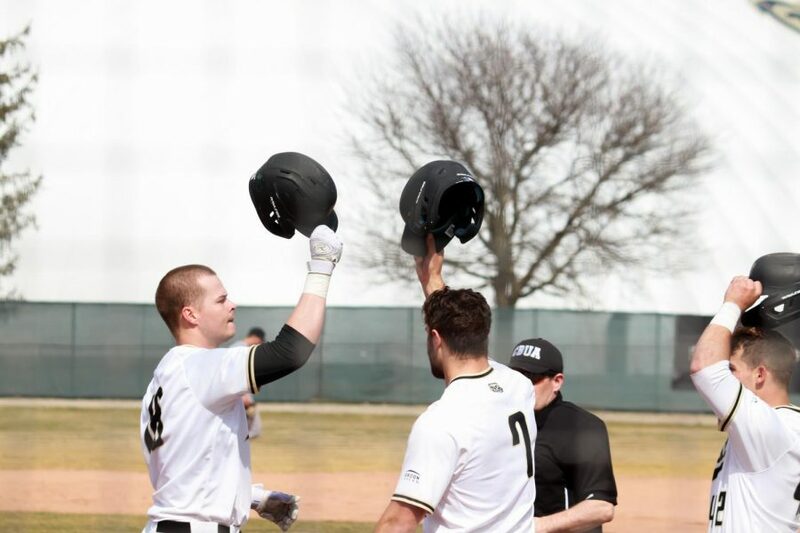 The Golden Grizzlies’ lone run came on a sacrifice fly from center fielder Ryan Fitzgerald. In the second game of the doubleheader, the first inning set the tempo for Oakland as they went up 3-1. Andrew Hoffman, freshman for the Golden Grizzlies, posted a career high nine strikeouts in five innings. Senior Cameron Fuller also had a great day on the mound as he recorded five strikeouts in the last four innings of the game. Hoffman expressed his confidence in his pitching after the win, which he felt was top-level. 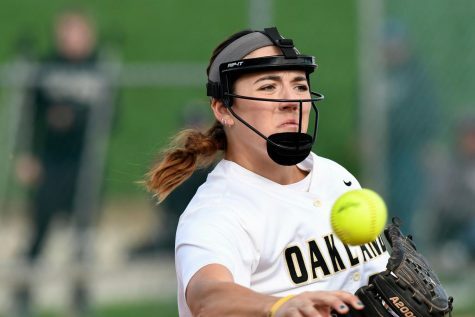 The Golden Grizzlies broke through in the third inning, scoring nine runs in total, almost batting through the entire lineup twice. The Black and Gold had scored nine runs in a single inning for the second time in the last three games. Ronnie Krsolovic hit a three-run home run, and Matt Dileo hit an RBI double and two-run single. Redshirt sophomore Blake Griffith was the driving force in the third inning, hitting a three-run home run and recording five RBI’s in total. Co-Head Coach Colin Kaline felt great about the game and was happy the team bounced back after a tough loss. He also feels the nine-run inning was a huge boost in morale going forward. 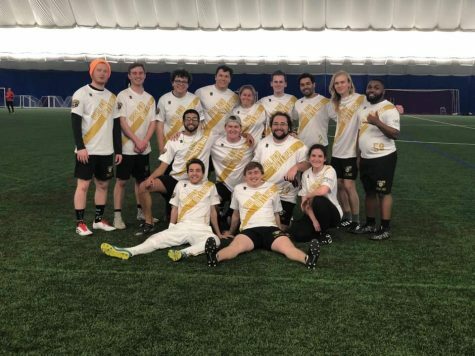 The Golden Grizzlies closed out the series against Milwaukee on Sunday April 7 with a 3-1 victory. Sports editor Michael Pearce contributed to this story.